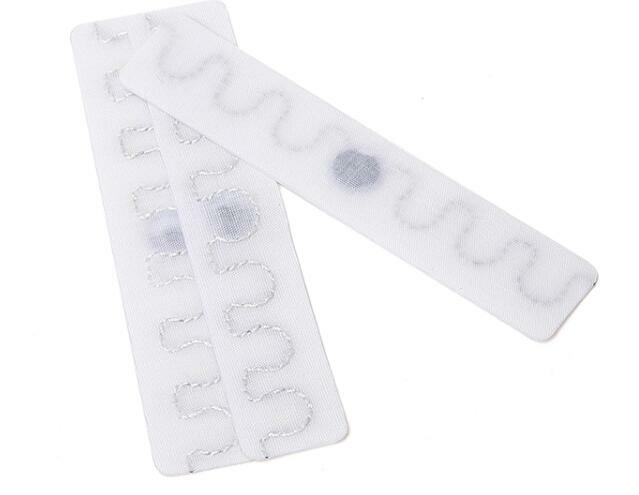 RFID NFC fabric laundry tag is with excellent reading performance and the highest thermal and mechanical resistance, this new RFID clothing Tag can be inserted in to the narrow hams of garments and other kinds of textile products. These RFID Tags can be widely applied in hotel sheet/ Attached to textile/ Work clothing. Wireless scanning enable fast scanning of a box even a room items dependent on the reader. Making a much faster process of tracking items on their way. A chip with enough memory inside store information of a particular item of its date,location,factory and ways of producing. Easy to trace forwards or backwards of its source for both composite suppliers and consumers. As scanning quickly we get a more accurate number of inventory on logistic chain. Providing instant update of inventory totals and turnover at any time on database. Integrate with security and shipments confirmation. allowing us to trace a shipment as it moves through our logistics chain, sorting items by locations, and providing accurate estimates of arrivals to customers or other business units. In all,RFID fabric laundry tag has many advantages and bring us great convenience to our daily life.